As I’m writing this post the mainstream media is telling me that Gold, when priced in its globally quoted, currency is trading at $1589.50 an ounce. In recent times when priced in US Dollars Gold has been tarnishing somewhat (and I used to think that it was only Silver that tarnished). Compared with the February 2013 average it has fallen in price by 2.3% and compared with the March 2012 average it has fallen by 5.0%. If you’re an Investor paid or spending in US Dollars then these are probably relevant numbers however as a UK Investor the numbers are bordering on being meaningless. Let’s therefore have a look at what is happening to Gold when priced in Pound Sterling. If you’re interested in history the last update of this metric was in January 2013. The Nominal Gold Price is currently £1,054.16 which is 0.3% above the January 2013 Price of £1,051.35. Year on Year Nominal Gold Prices are only 0.4% below the March 2012 Price of £1,057.94. In contrast with US Dollar Investors we can see that UK Investors are just not seeing price falls. This is caused by Sterling devaluing against the Dollar at a rate pretty close to the fall in Gold Prices when measured in its globally quoted currency. 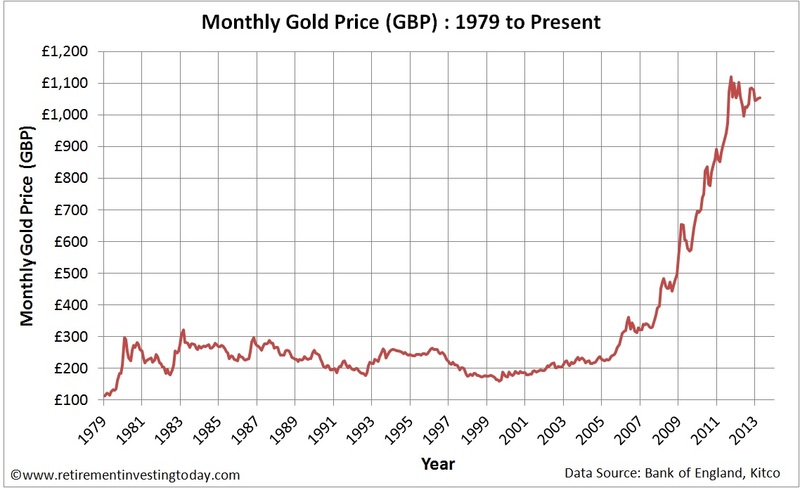 Real Gold Peak Price was £1,168.11 in January 1980. At £1,054.16 we are 9.8% below that peak today. The long run average is £527.06 which is indicating a very large 100% potential overvaluation. 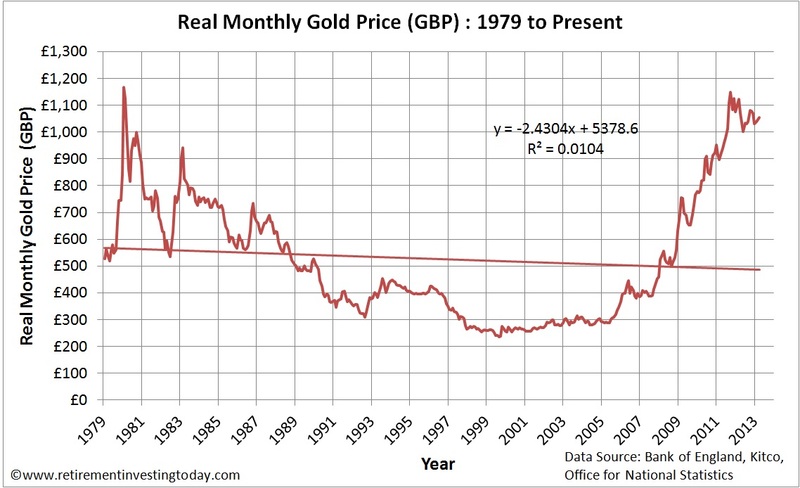 The trendline indicates the Real Gold Price should today be £485 which would indicate even further overvaluation. 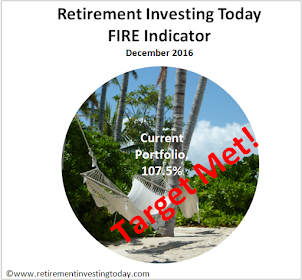 Even though Gold has gone nowhere for 12 months I personally find myself around 22% underweight Gold against the target allocation that my strategy requires. 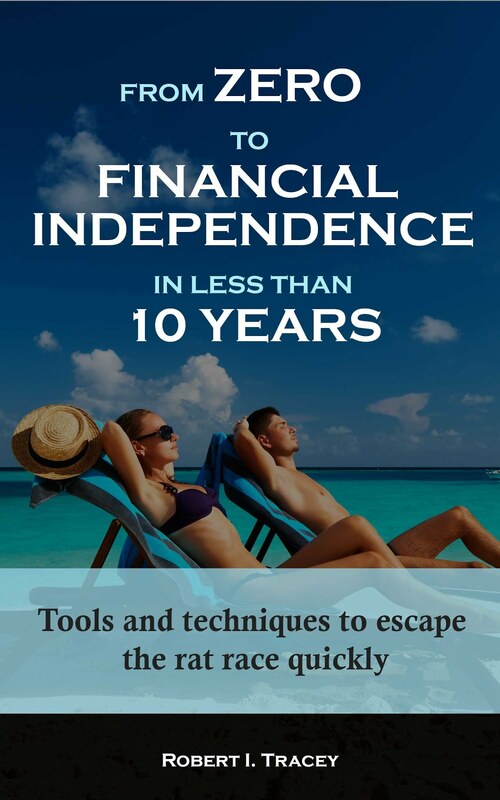 This is caused by the value of many of my other assets rising considerably, which includes regular dividends that gold just doesn’t provide, combined with large contribution levels of new money entering my portfolio. At 25% underweight I’ll be pushing the buy button. Last gold price actual taken 14 March 2013. February and March 2013 inflation is extrapolated from the Retail Prices Index (RPI). The USD seems to be strong against most things at the moment - this link estimates it to be 17% overvalued against a variety of other value measures (if you accept the theory that the USD loses 50% of its' value every 4 years). So maybe what you are seeing is not a fall in the USD value of gold but rather a rise in the value of the USD against a lot of things? Go on, show us the corresponding graph for silver. (Please). I don't actually own any silver so don't unfortunately track any data on it either. As this is only a part time gig and I have day job I just physically don't have the time to track everything I'd like to.